Fitting into tight spaces, busy areas and public transport with a pushchair will be a breeze thanks to Britax Römer’s new BRITAX B-LITE travel system. Suitable for children from birth – 15kg (approx. 3 years), the BRITAX B-LITE is compact and agile, allowing parents and children alike to move around with ease. The new pushchair is Britax Römer’s lightest buggy to date that is travel system compatible and comes with the option of using CLICK & GO® receivers to enable parents to attach any Britax Römer infant carrier, making it a great travel companion for the whole family. Weighing only 7.4kg, the BRITAX B-LITE is easy to handle thanks to its single-handed pull fold, enabling parents to quickly and conveniently collapse the pushchair with one hand, while holding on to their most precious cargo in the other. Not only lightweight but compact too, the BRITAX B-LITE is freestanding when folded with a standing height of 70cm and width of 40cm, also featuring a handy automatic fold lock which ensures the pushchair remains in position until it is ready to be used again. Perfect for the active family, the BRITAX B-LITE features an adjustable backrest and leg rest, which includes a lie-flat position that can be used with a soft carry cot for newborns, as well as customisable seating positions for a resting toddler. Additional foot support is also included within the new pushchair to keep growing children more comfortable and can be used when the calf support is down; this ensures little legs remain comfortable even when the leg rest is outgrown. The BRITAX B-LITE comes with the safety features parents have come to expect with Britax Römer products, including an adjustable safety harness to keep children secure and comfortable as they grow. The 5-point harness can be adjusted to different height positions, while the softly padded chest pads ensure additional comfort for children. To ensure a smooth ride, the BRITAX B-LITE boasts front swivel wheels which work in both a swivel and lock mode for greater manoeuvrability, while lightweight puncture-free wheels leave parents feeling assured that they won’t be left with a flat tyre during outings. 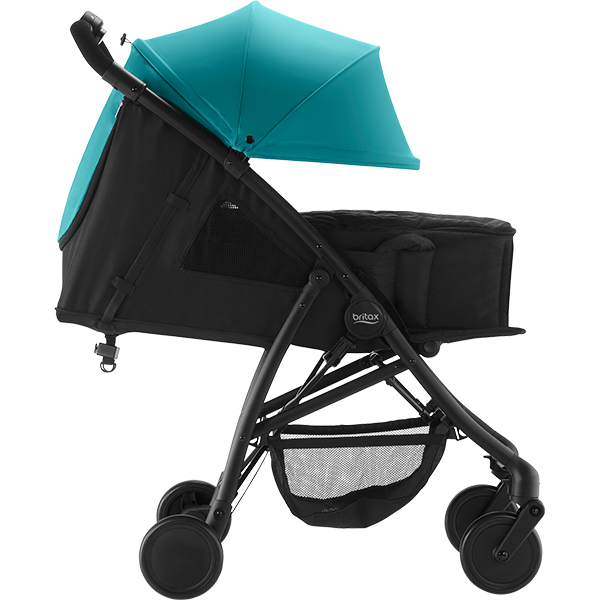 Other aspects of the new pushchair include a large hood with UPF 50+ protection, mesh panels on the sides of the seat unit for better air circulation and a spacious basket for travel essentials, making it a must-have for any family adventure. 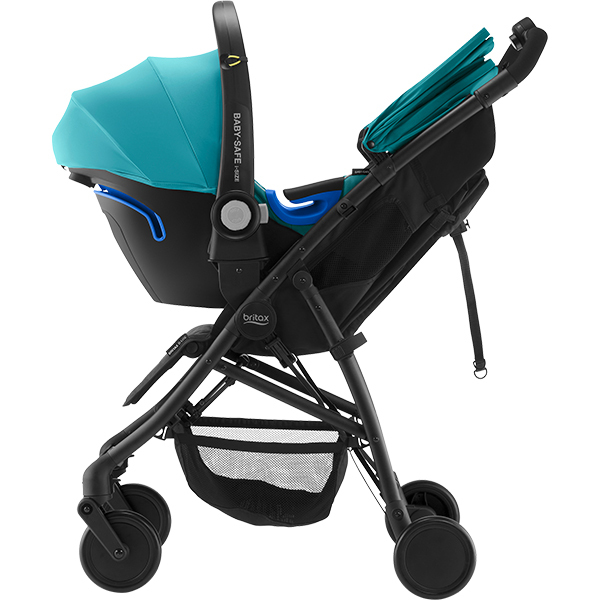 The BRITAX B-LITE is available in four colours: Coral Peach, Cosmos Black, Lagoon Green and Steel Grey and will be available from all major retailers with an RRP of £180. “Made with Care” is Britax Römer’s philosophy to provide the highest quality of products to customers. Britax Römer has strong internal standards for chemical and mechanical testing for fabrics and other components. These include regulatory guidelines such as REACH and their own internal, often stricter standards, to which the quality of their products must adhere. Their efforts have been recognised in this area with consistent, excellent scores from leading consumer organisations such as Germany’s Stiftung Warentest.